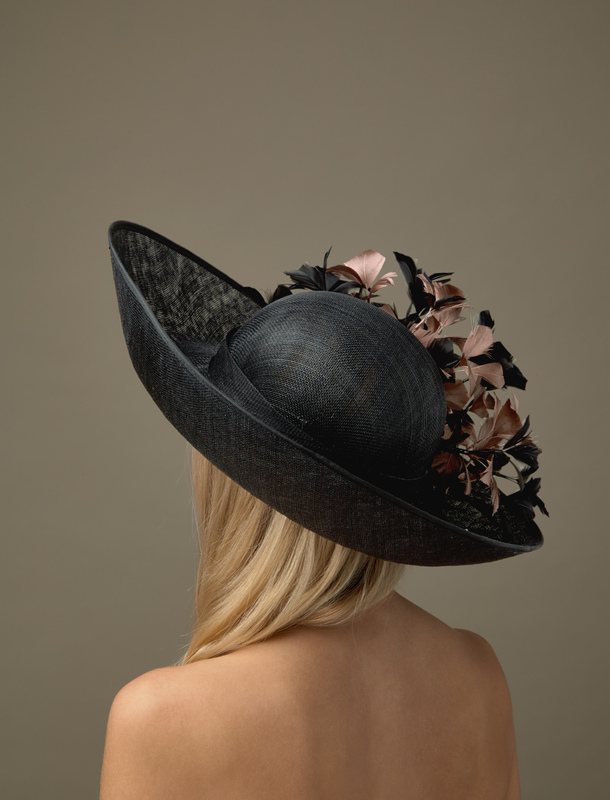 The Tonic hat comprises a sinamay hat base with deep upturn to the front left hand edge of the brim. 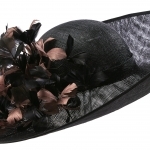 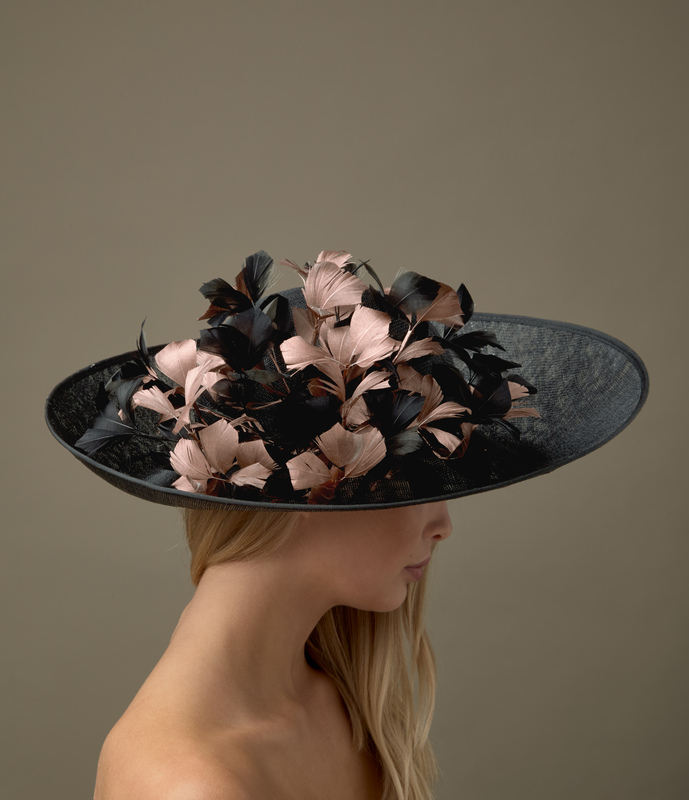 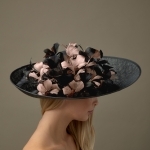 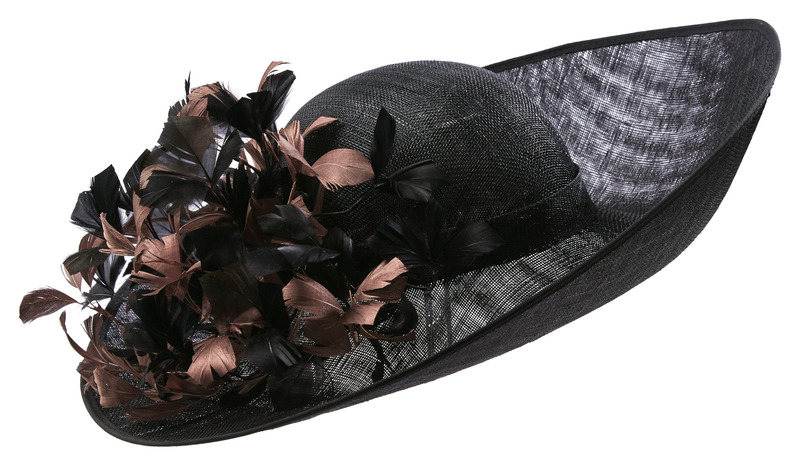 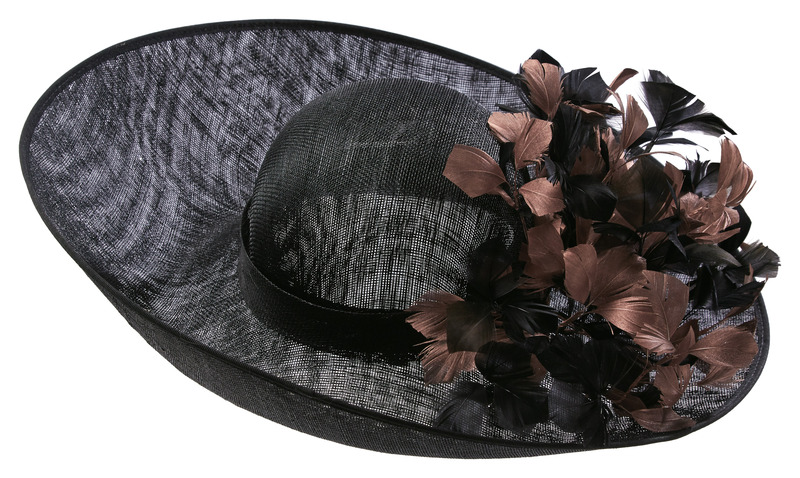 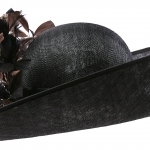 The hat is then trimmed with feathers,in up to 3 different colours to the opposite side of the upturn. 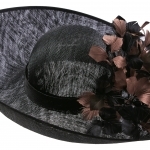 This hat would make a great summer wedding hat or race day hat.